The Cwafty Blog: Whos that Pokemon? So, I think my next post won't be until next Tuesday. 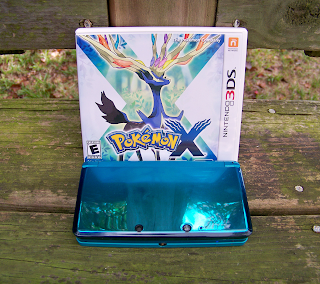 I'm taking a small vacation from the blog to use what little time I will not be working or sleeping this week to play the new Pokemon X game for the 3DS. My love for Pokemon started suddenly and passionately all the way back in my first week of Kindergarten. My new friends all liked it and told me everything about the cartoon, the toys, the cards, and the games. Looking at all of the adorable creatures and thinking about picking one and raising it to be the best appealed to me in a big way. When I got home I walked with my mom to the Toys R Us across the street from my apartment and used my "allowance" to buy my first pack of Pokemon cards. It was pretty much just a downward spiral into addiction from then on. I got up early every morning before school to watch the show(also caught it after school), asked for the plushies and action figures for holidays, collected hundreds of cards, and finally my dad got me a Gameboy and Pokemon Silver. Thirteen years later Pokemon titles make up a good chunk of my video game library and I can't stop. So, basically, I have to play this game or I'll die. 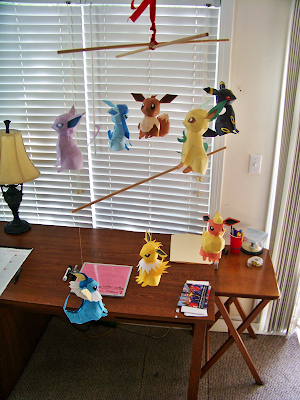 I thought I'd leave you on some pictures of some of Pokemon projects from over the years, since this blog is also supposed to help me catalog some of my work. I had so many Pokemon cards that I had accumulated over the years that I had to do something with all the extras. 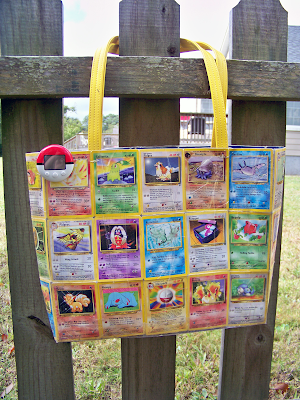 After learning how to make a wallet, I used the same basic method to make this bag. Eevee and it's all it's evolutions are pretty much my favorite pokemon. I get to add some new models to the mobile with this generation! A pair of Pokemon shoes I did for a friend. 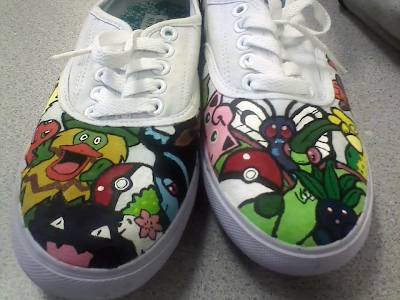 As much as I want my own pair of these, I would have a super hard time picking which Pokemon. 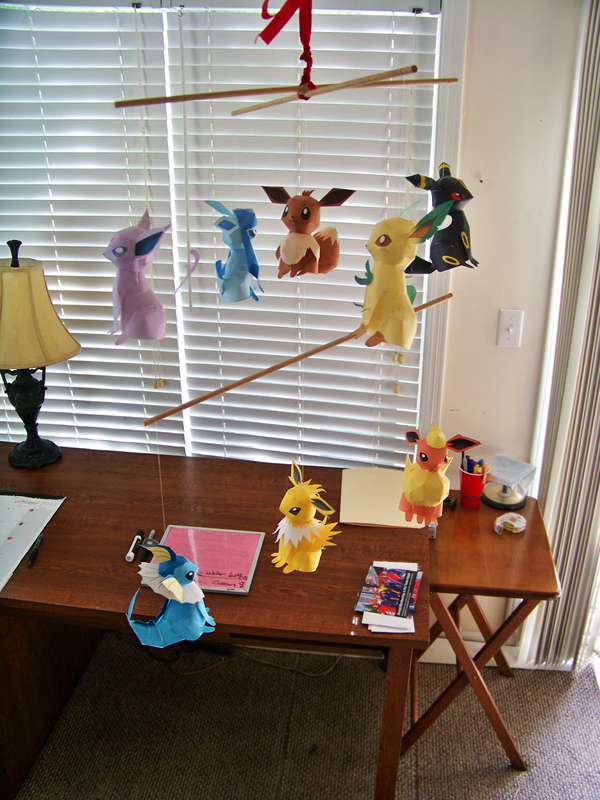 I have far too many favorites, and all the Eeveeloutions would take up one shoe! 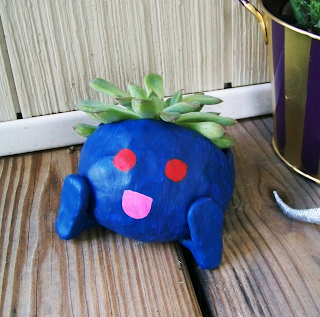 I made this cute little thing just a few days ago in my pre-game-release excitement. 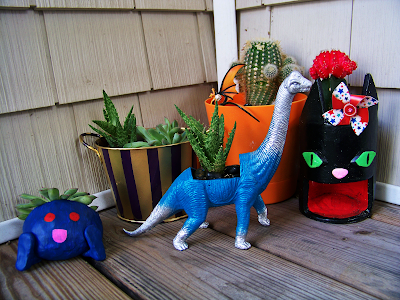 I decided to add some new plants to my tiny garden and was short a container, so I whipped one up. 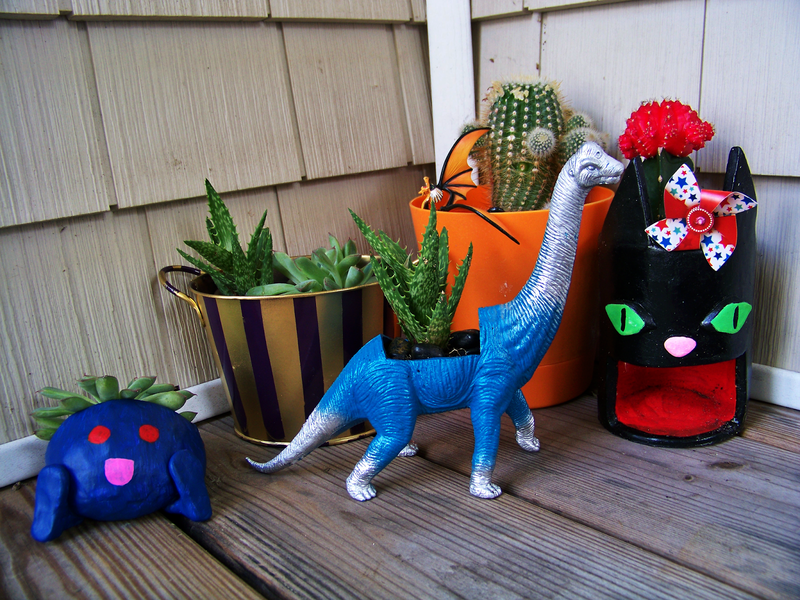 The plants from left to right, Oddish, the two in the bucket are Octavian and Octavia, the Dino is Lenny, orange pot is Smaug, and the Cat is Bofur. Thats all I have for now! I'll be back super soon!